I recently got the opportunity to take a trip to a place I have always heard about, but never would have put on my bucket list of things to do. The town is Houston, Texas in the USA, where I believe is the hometown of Beyoncé so yes, I was a lot more curious to see what it had to offer. I flew out of OR Tambo on Sunday evening with Delta Airlines and after 18 hours arrived in Atlanta for my connecting flight to my final destination at which I was to arrive on Monday at 9am. 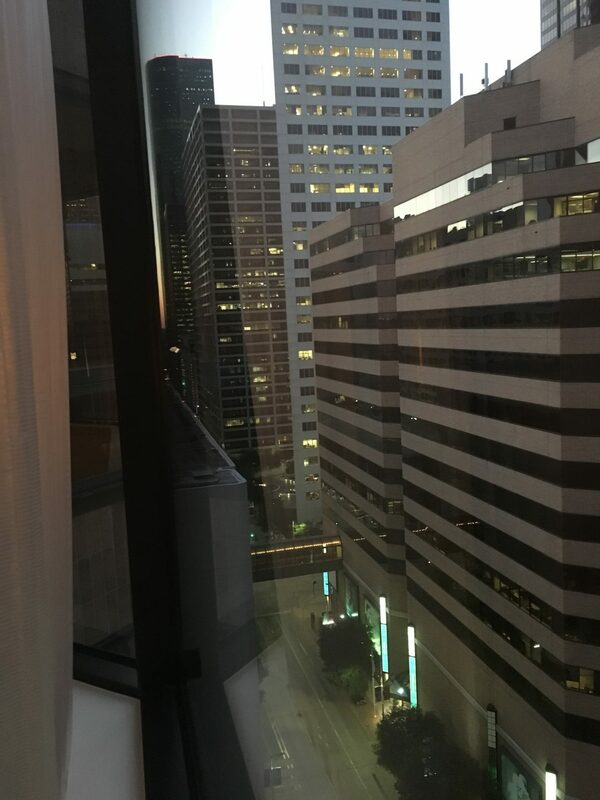 I landed safely at George Bush Intercontinental Airport and caught a taxi to the hotel which would be my home for the next 5 days – Four Seasons downtown Houston. Arriving at around 12h00 after paying $60.00 for a 30-minute drive (rip off! ), I finally checked in and when I got to my room, dropped my bags and headed straight for a bath after which I unpacked my things and my stomach told me it was time to eat. I headed out to a nearby spot called MKT Bar where I ordered plantain fried chips for starters and fish and chips for mains with a strawberry soda – which although sounds great was actually awful to say the least and cost me a whopping $25.00. 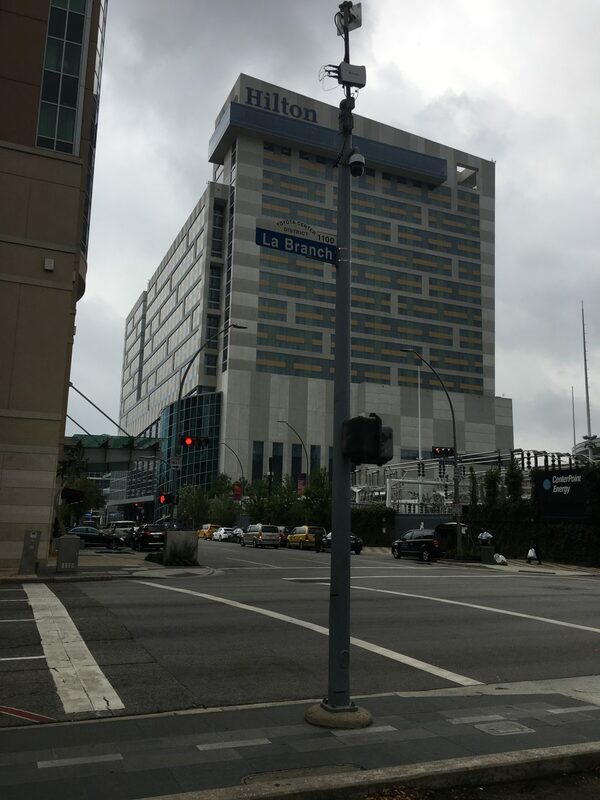 The following day, I woke up at around 9am, headed out for breakfast at the Hilton hotel nearby – which was fairly decent. On my way back to the hotel, I decided to walk through a 12-acre urban park that apparently enriches life in an otherwise very dry Houston called Discovery Green. 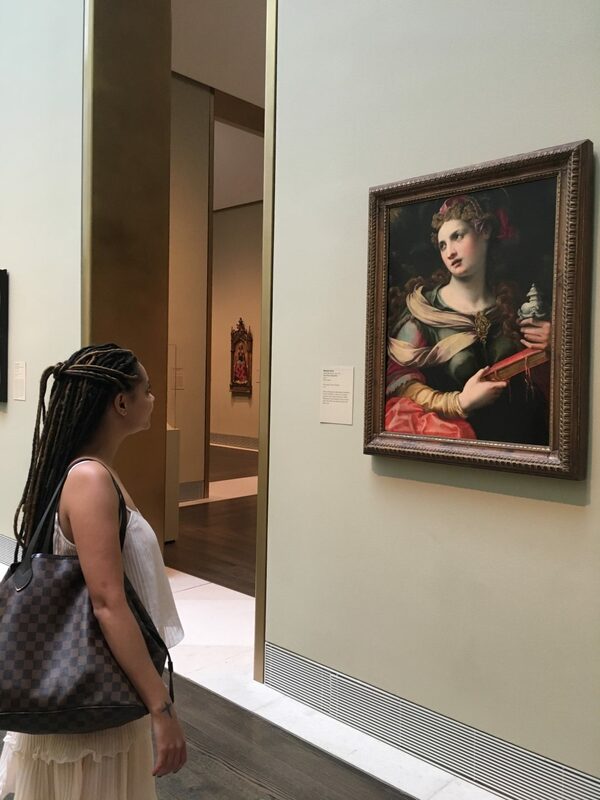 Wanting to explore further, I then caught an uber, to save on the taxi fare madness, to Uptown District – The Galleria, where to my delight, I’d finally found shoes in my tiny size 2. I then of course couldn’t resist buying myself a pair of Gucci Princetown leather slippers and the Louboutin’s So Kate’s. For a little break, I ate at Chipotle which I first learned about on Oprah when she was still showing on South Africa’s SABC 3 – the food was divine, healthy and cheap which was refreshing after my previous experience of eating out. I ordered brown rice with chicken, black beans and sour cream with a sprinkle of chili. I finally headed back to the hotel, where I decided to try some Thai gourmet food for dinner. I found a spot nearby called just that where I ordered mild garlic shrimp with mild chicken and rice. The chicken was delicious, the shrimp not so much and the rice was standard. To drink, I ordered a whole fresh young coconut. Wednesday morning – I decided to go grocery shopping at the downstairs Phoenicia Specialty Foods Downtown which offered amazing fresh foods from around the world since I was slightly over the restaurant thing on that day! I even spotted South African DMZ’s Chardonnay. I then decided to go back upstairs to my room and rest as my stomach was feeling quite sensitive from the hot food of the night before. 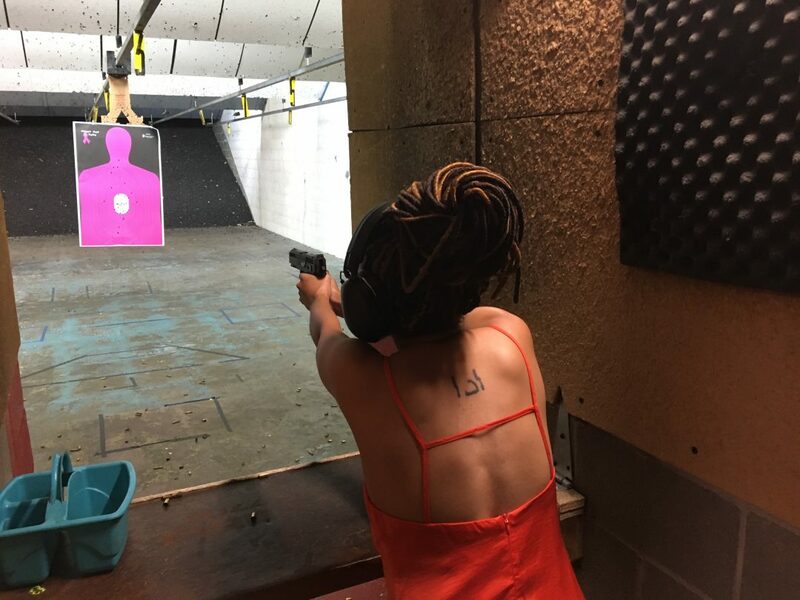 Later that evening, after speaking to a few locals who recommended that I learn to shoot at a gun range, I headed out to Full Armour Gun Range Houston. The experience was so so so scary. I paid for 50 bullets and a 9mm shot gun. The gentleman training me was a retired marine, he taught me to stand leaning forward so that the impact was evenly distributed throughout the body, legs shoulder width apart and naturally bent. Looking at the target through the little opening on the front top of the gun, was so nerve racking not to mention hearing the gun shots from people shooting in the other cubicles – having said this, to my surprise I did quite well at it. Thursday morning, I decided to further my cultural experience, so I headed out to the Museum of Fine Arts and McGovern Centennial Gardens which offered a Japanese garden, rose garden with a huge water feature. I walked around for hours, because as you can imagine, there was just so much to see. Soon after I headed back to hotel to rest my back which started to hurt after all the exploring. I took a short nap, after which my shopping bug attacked so again I headed back to The Galleria where this time around I bought a pair of Saint Laurent Tribute 105 sandals and the Valentino Rockstud 100 courts. That evening, I headed out to Houston’s ‘most happening’ spot called Club Cle – which was average compared to the upscale venue I expected, also they required proof of identification even when the person looked 40 which points to the fact that there is a paranoia about security which is justified I guess. 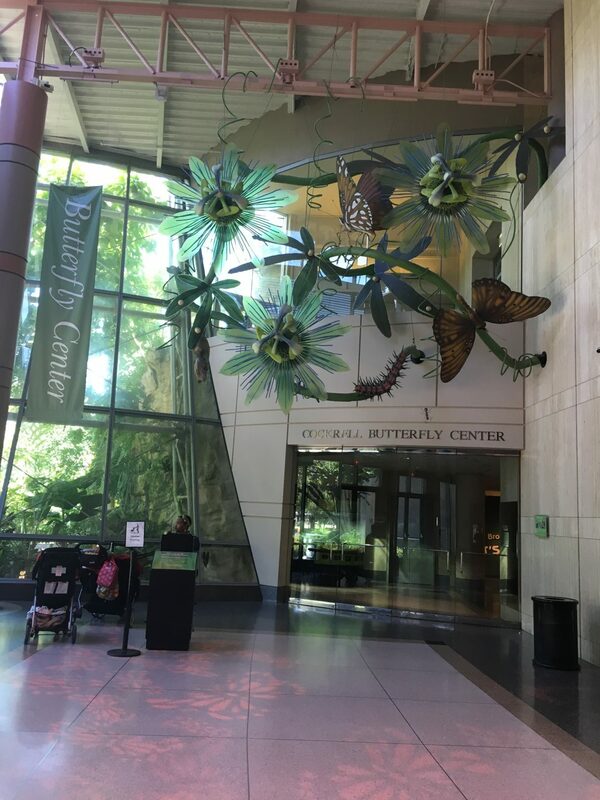 On my last full day there, I headed out to the Houston Museum of Natural Science – where I visited the cockerel butterfly centre which was beyond beautiful however very short, in terms of there not being much to see. Basically, it was a centre where everything ‘butterflies’ was taught, as well as getting to view them flying freely in a man-made sanctuary. I then headed to the Museum of Contemporary Art, which I won’t lie was very different and difficult for me to take everything in. Overall, the trip was beautiful and a much-needed distraction. I still feel America is a bunch of hype and that its people are well – not as amazing as one would imagine from watching what comes out of America on the silver screens. However, it did end up being a shopping destination of note for my tiny feet so I was honestly happy!